During our time here in northern India, I have developed a particular fondness for the Mughals. Mughal is the Persian word for Mongol. The Mughals claim decendency from Genghis Khan and their empire ruled much of India and its surrounds during the 16th to 18th centuries. They were apparently superb warriors with a tendency to turn on their own kin. No blood thicker than power for them! What I like best about the Mughals is not their power-mongering, but their total lack of simplicity. Let’s face it, if it weren’t for them, Agra wouldn’t even be on the map. From Humayun’s Tomb to Agra Fort, the Mughal architecture and history is fascinating. Though I have to say, Akbar proved to be not the brightest of the bunch when it came to building big (I can’t claim the same for his rule.). 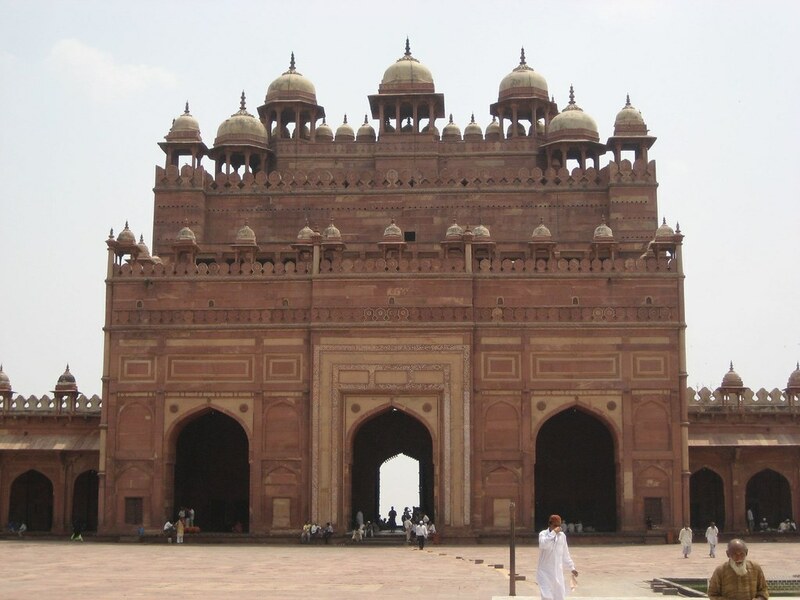 He built the vast and elaborate walled city of Fatehpur Sikri near Agra with private residences for his three wives (a Hindu, Turkish Muslim and a Goan Christian) along with room for his 300 concubines, a library, a mosque, an artificial lake, beautiful gardens and much more. Unfortunately, he didn’t do a proper assessment of water and since there was not enough, he later abandoned Fatehpur Sikri. The remains of the Mughal Empire have been a definite highlight of our visit to north India – or at least to Delhi and Agra.